Microsoft and Skype have finally shaken hands on their billion dollar partnership, with CEO Steve Ballmer revealing that Microsoft's acquisition of the VoiP service has gone through. It was back in May that the Skype deal was announced but Microsoft did explain that it wouldn't be finalised until much later in the year. In a statement about the link-up, Ballmer explained: "Skype is a phenomenal product and brand that is loved by hundreds of millions of people around the world. "We look forward to working with the Skype team to create new ways for people to stay connected to family, friends, clients and colleagues – anytime, anywhere." 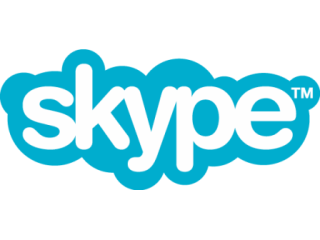 Microsoft has paid $8.5 billion for Skype, a service that has around 65 million customers. Skype's CEO Tony Bates is staying with the service and now has the title of president of Microsoft's Skype Division. Bates said about the deal: "Together, we will be able to accelerate Skype's goal to reach 1 billion users daily." It is not yet know just how Microsoft will integrate Skype into its existing products but expect to see it turning up in everything from Hotmail to Office.